As they consider expanding their business to the USA, many B2B companies start by “testing the market” with the help of an outsourced, American partner that conducts preliminary lead generation efforts and assists their own export managers or international business developers with the first sales calls. This option is indeed attractive for non-US companies when their chief executives cannot travel to the USA on a regular basis, when they have not identified any local sales representative yet, and / or when their budget is limited thus precluding the use of a traditional sales agent. 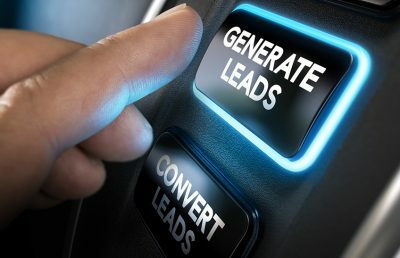 Let’s explore the option and give you numbers ($$) to help you assess whether outsourcing lead generation and sales activities fits your business needs. We usually observe 2 different reactions from non-US companies as they weigh the outsourced lead generation and sales support option. On the one hand, some of them expect the outsourced partner to work on a commission basis only: let’s make it clear from the outset, it’s very unlikely that American people will work for free until the first sale is made, even if the amount of commissions sounds mouth-watering. Your partner will most likely ask for a monthly compensation during the first 3 or 4 months, time to prepare some marketing and sales assets, spread the word about the new brand that is coming to the USA, and build a relevant pipeline of prospects. On the other hand, some companies that have never used these kinds of services believe it will cost them a fortune, and that an in-house team will be less expensive with greater control: it’s not necessarily the case. The outsourced lead generation solution can deliver significant short-term and long-term ROI without the hassle of recruiting and training the ideal sales representative, overwhelming the HQ with the US expansion project, or making any long-term commitment. Identify the exact position of US leads within the buying circle and thus save time and resources. Tempting, right? So, what are the numbers? Services: Your US partners will identify and qualify leads, and they will pass them on to your team; the account manager will attend the 1st call with you but will not provide any sales support. Your team is expected to provide most marketing materials and move leads through the sales cycle. Budget: The price structure is usually a monthly retainer (flat fee) that usually ranges from $4K to $6K/month to which some success fee may be added (e.g. $100 per qualified meeting arranged). When to use this solution: This option will only work if 1/ you are just testing the waters (e.g. 2 or 3 months to generate leads and thus prove traction), 2/ you have the resources internally to engage and nurture leads after the initial call, and 3/ if you have a clear definition of your product and its value-add. Services: Your US partners will help you adjust your marketing assets to the US market (e.g. sales sheets, positioning), proceed to lead generation as described above, and provide some sales support to your team to engage and nurture leads (e.g. handling meetings on its own, advising on contracts, participating in on-site meetings, etc.). Your team will still be responsible for closing deals. Budget: The price structure is usually a per hour compensation ($45 to $55/h) + success fees (negotiated on a case-by-case basis, but most likely around 5% of generated sales). As for the number of hours needed, clients usually start at 80 to 100 hours / month, but of course, needs may call for a greater number of hours. When to use this solution: This solution is great when 1/ the sales cycle is somehow long, calling for a local presence to engage leads and act as a liaison between them and the remote HQ, and 2/ when you have enough internal resources to conduct negotiations and close deals (sales representatives who are fluent in English, who can keep the ball rolling despite the time difference, and who have enough time to manage calls, proposals, etc.). Services: Your US partners will provide a full-range of services, based on your needs, and with flexible options to accommodate progress (you can start with some flat fee lead gen activities, and patch additional services on an hourly basis, such as direct sales, product/market fit analysis, go-to-market strategy, or digital marketing). The focus will be on closing deals, meaning that you can get an excellent ROI with that option without worrying about closing deals all by yourself. Budget: The price structure depends on what you select in terms of services: flat fee, or hourly compensation + success fees (with roughly the same rates as in options 1 and 2). The number of hours of course varies a lot since such a solution is highly customized. It is likely that the company will ask you for a 3-month commitment, starting at 80 to 100 hours per month with a $45 to $50 hourly rate. It’s not unusual to see the number of hours increase up to 250 hours per month if initial results justify the increase. When to use this solution: This solution is great when sales cycles are long (> 2 months) and quite sophisticated, provided that you are serious about your US expansion and that you are ready to discuss strategic decisions with your outsourced partner with complete transparency and an open, collaborative approach.